COOPERSTOWN - Mary Louise Gray, 88, of Cooperstown, passed away Saturday evening, December 9, 2017, at her home on Walnut Street with her sister, Connie and nephew, Brent at her side. She was born January 13, 1929, at the Mary Imogene Bassett Hospital in Cooperstown and was graduate of Cooperstown High School, Class of 1948. She was first employed as a part-time telephone operator at the Mary Imogene Bassett Hospital, where she also made formulas for the maternity and pediatric wards and the central supply department. In 1957, Mary went to work for Herkimer Memorial Hospital where she was responsible for setting up central supply, inventory, ordering supplies, making surgical packs, and supervising staff personnel. In November 1984, Mary left Herkimer and joined the staff at A.O. Fox Memorial Hospital, but after six months she took time off to care for her mother, Kathryn. A determined individual, Mary took it upon herself to apply her education and experience in a new field and enrolled at Herkimer County Community College, where she eventually received a teachers' aide certificate. 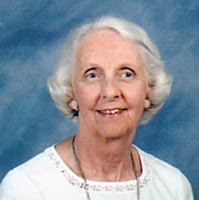 For many years she was a faithful and devoted member of the First Presbyterian Church of Cooperstown. She will be especially remembered for helping out with almost every rummage sale at the church. In her leisure, Mary always enjoyed shopping trips to New York City, especially at Christmas time. On one of these trips, she and her nephew, Brent, decided to go to the top of the Empire State Building, and at the age of 83 Mary got off the elevator and climbed the stairs for the final twelve floors. She also enjoyed horse racing and made several trips each summer to the Saratoga Race Course. Mary is survived by her sister, Constance ("Connie") Gray and her son, Brent, of Cooperstown; one aunt, Dorine Gray, and four cousins, Stephen, Michael and Jim Gray and David Austin. She was predeceased by her mother, Kathryn Masten, who died September 13, 1996. Abiding by Mary's requests, there will be no services. She will be laid to rest in Hartwick Seminary Cemetery. As a way to remember Mary, her family requests that memorial donations be made to the First Presbyterian Church of Cooperstown, 25 Church Street, Cooperstown, NY 13326.